Have you ever wondered how the tradition of giving wedding anniversary gifts began? 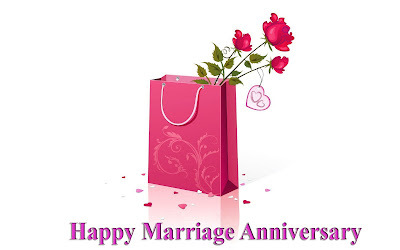 It is said that the earliest wedding anniversary gifts were silver garlands given by Germanic husbands to their wives on the 25th anniversary. History also shows that some European countries celebrated half of that time, 12.5 years of marriage, with gifts of copper. Around 1875, wood seems to have come into vogue as a 5th wedding anniversary gift. Wedding anniversary gifts by mail were undoubtedly rare in those days. The postal service itself was unreliable. Couples who wanted to celebrate their marriage by giving one another gifts often had to choose between making gifts or purchasing at the general store. Times have changed dramatically, and we now can not only purchase wedding anniversary gifts by mail, we can order them electronically on the Internet. My bump of curiosity stirred a desire today to see what was available. Here are the first seven anniversary gifts I found. 1. 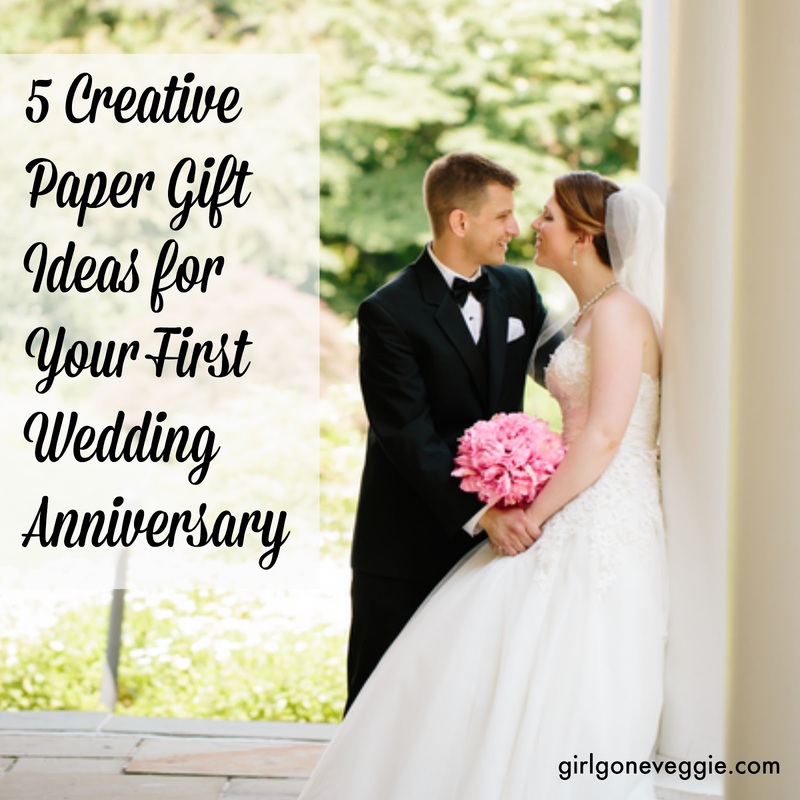 PAPER: I began with the 1st wedding anniversary gift, wondering what ideas would fit the traditional "paper" gift idea. It was easy to find paper for a husband to give. A framed family tree with her name added! He might have to research, and get information from his parents. 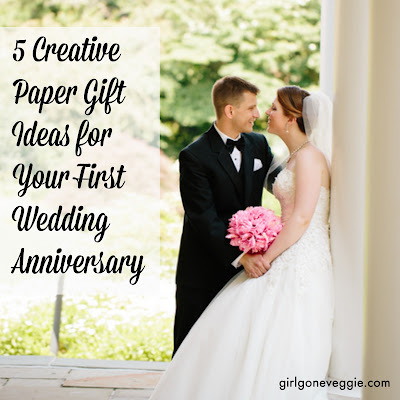 A bride of 1 year would appreciate his thoughtfulness, and the renewed knowledge that she had been added to his family tree would be a wonderful wedding anniversary gift. He can order a family tree online at most of the genealogy websites. She could give him paper tickets to a sports event that he would love - and go with him, even if she doesn't share his love for sports. 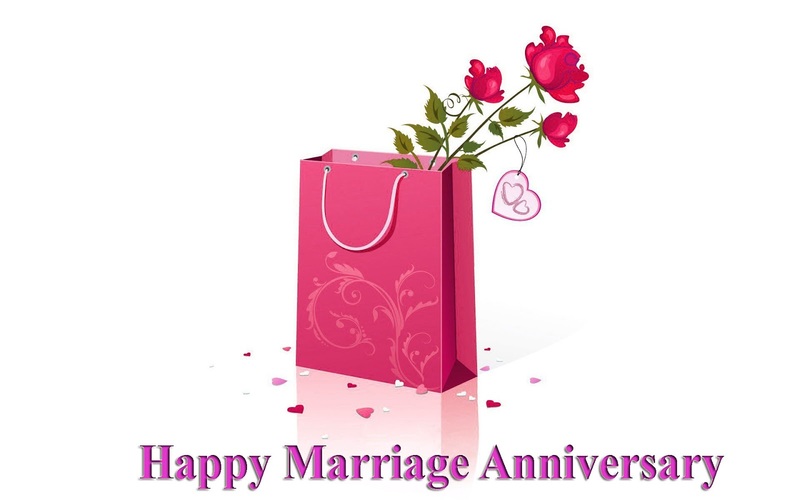 Ticket wedding anniversary gifts are easily found at Ticketmaster. 2. COTTON: For the 2nd wedding anniversary gift, cotton shirts or cotton sheets would be good choices. Order quality cotton shirts from Lands End and have them monogrammed. You can order quality sheets from there, too. Either gift would be appropriate for one to give the other - or sit down together and make out your order. All are gifts by mail. 3. GLASS: One choice for the 3rd wedding anniversary gift was glass, and I found unique, beautiful glass butterfly pendants at Solstice Glass! He could order these by mail and she would never know he had gone shopping. Each glass butterfly pendant is hand-blown and contains a beautiful, realistic butterfly perched atop a lovely flower. Solstice Glass has other shapes, too, of course - a good variety of hand-crafted glass. A wife can shop at Solstice glass, too, and make her husband's third wedding anniversary gift a hand-blown, one-of-a-kind glass marble. He can carry it with him daily as a reminder of her love. 4. FRUIT, FLOWERS, and SILK: The traditional wedding anniversary gift for the 4th anniversary is listed as fruit and flowers. I knew immediately that I could order delicious fruit and beautiful flowers at a place like Gift Tree. 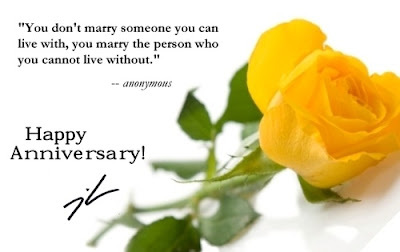 Then I noticed that one of the modern choices for this anniversary is silk. 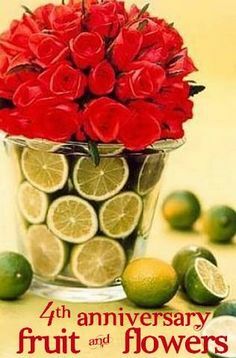 You could combine the two, and order a beautiful, quality silk fruit tree or silk flowers. They would last longer than real fruit or flowers. You can find silk pomegranate trees at USI Floral. Since pomegranates are often called the fruit of love, and these trees are filled with the beautiful red fruit, he might order this wedding anniversary gift by mail. She might order him a silk Hawaiian shirt with flowers or fruit in the design. 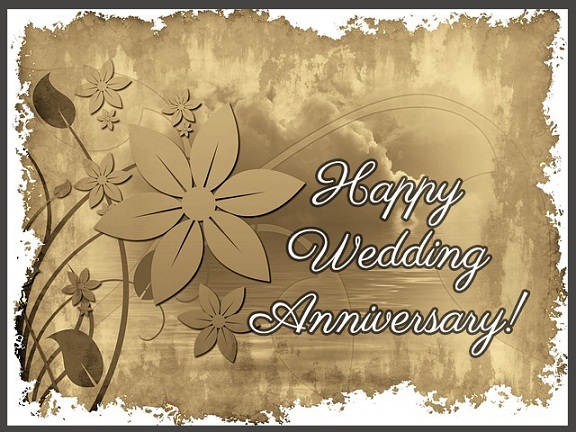 Hawaii Tropicals is one of many places online that will ship this wedding anniversary gift by mail. 5. WOOD: Wood Cutting Boards is a good website to visit for 5th wedding anniversary gifts by mail. Either chef would appreciate the choice of cutting boards they offer. Their hardwood mugs are also beautiful for either husband or wife. If there is any doubt about the strength of the marriage, a new wooden rolling pin is not recommended. 6. IRON: Although sugar is also a traditional 6th wedding anniversary gift, you might want to think in terms of durable gifts rather than consumables. The two of you could choose a wrought iron love seat for your garden from Furniture Central. If you enjoy golf, give each other new iron sets. 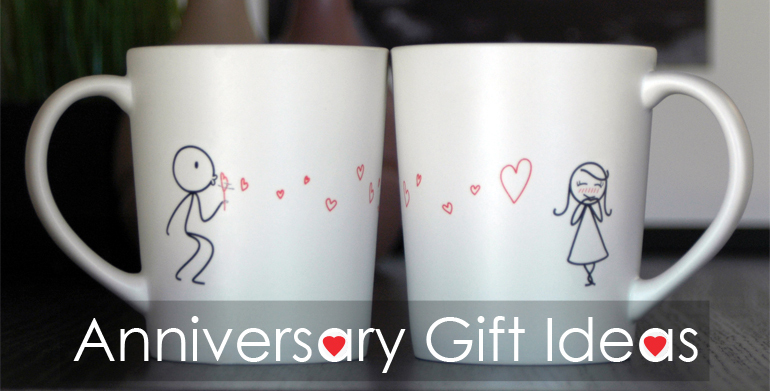 At Golf Smith, you can order this wedding anniversary gift to be sent by mail. 7. WOOL: Even if your wedding anniversary gift celebrates a summer wedding, you know that either one of you would enjoy a gift of wool from the New Zealand Nature Company. Wool pillows and comforters are cozy in the winter, but cool in the summer. Wool slippers and boots are just as wonderful. They insulate you as they insulate the sheep. 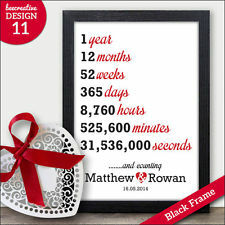 Order these wedding anniversary gifts by mail, and you will have the joy of celebrating with gifts from a different hemisphere. You can, of course, go to your local mall and buy a gift. But when you order wedding anniversary gifts by mail, you can shop the entire world for the perfect gift. You can keep your shopping a secret, and surprise the one you love.